INDIANAPOLIS — Six-year WNBA veteran Shenise Johnson has signed a free agent contract to return to the Indiana Fever, it was announced today by Head Coach and General Manager Pokey Chatman. 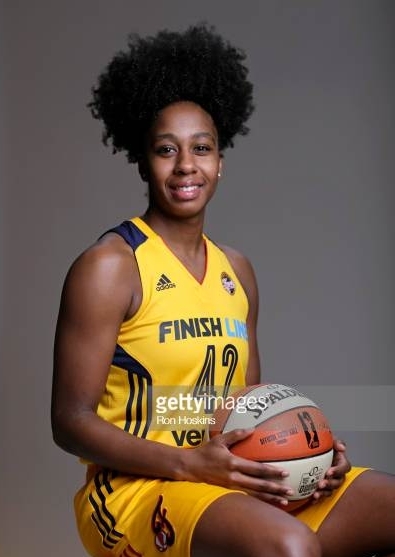 A versatile and athletic, 5-11 shooting guard, Johnson has averaged 10.6 points per game over three seasons with the Fever since being acquired in a trade with San Antonio prior to the 2015 campaign. Johnson was a starter averaging 10.9 points while helping Indiana to the WNBA Finals in 2015. Johnson sustained a torn left ACL injury during practice last season on July 11. The Fever were 7-9 with Johnson in the lineup but they won just two of their final 18 games following her injury. After successful surgery in August, she has continued to rehab in Indianapolis this winter, and anticipates a full recovery and hopeful return during the 2018 WNBA season. A graduate of the University of Miami and a native of Rochester, N.Y., Johnson was averaging 11.3 points per game at the time of last year’s injury. The fifth overall pick in the 2012 WNBA Draft, she set a Fever record and led the WNBA in free throw percentage (.938) in 2016, finishing the season with 40 consecutive made free throws.